THE SOURCE: LIVE, WORK, & PLAY ~ COMMUNITY LIVING / EVENT SPACES! LIVE, WORK, & PLAY ~ COMMUNITY LIVING / EVENT SPACES! We are very, very excited to announce our 1st "Live, Work, & Play" Community & Event Space (a Source Network Membership)! In Beautiful Los Angeles, CA.. The "cumulative membership income" + "event income" + "sponsorships"; provides the necessary revenues to operate a "Live, Work, & Play" Community & Event Space. These also are great for gifts for friends, family, and tribe. 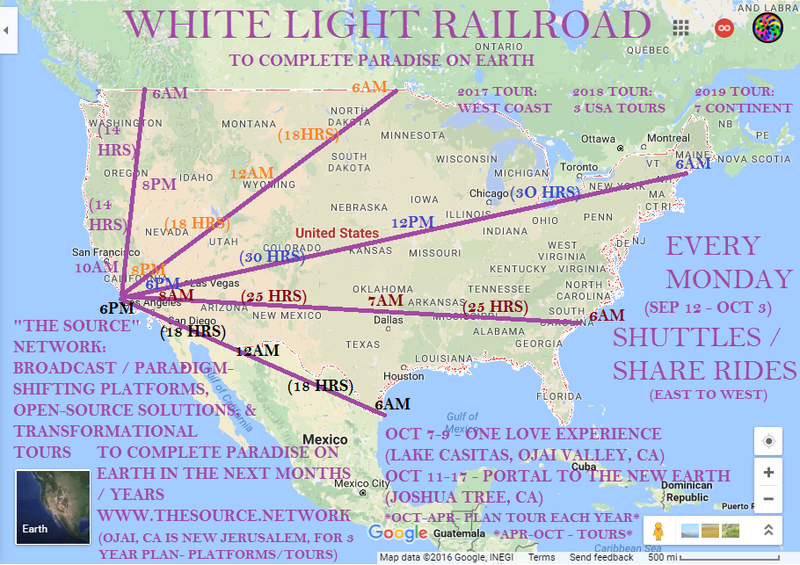 Thursday Nights - Corey's "Cosmic Sound Bath experience"
& 1 Saturday Night a Month - Source Network's "Tribe Abundance Gathering"
Includes 20% off all in house treatments: massage, shamanic work, sound healing, toning, workshops, readings, channeling circles, cosmic choral choir, and more..
via the White Light Railroad to freedom. You can trade passes, from village to village..
You can bring a guest with your passes... (This encourages guests to bring you the next time with their passes)..
Set up your space in your village today!